Malison is a professional cookie cutters manufacturer with more than ten years experience on producing. 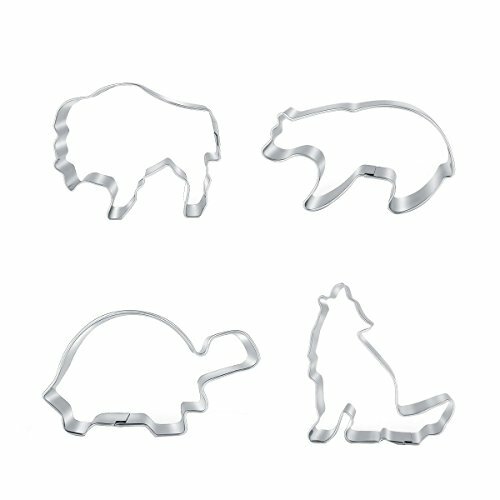 We take perfect quality as our principle and provide all kinds of long lasting and unique design cookie cutters for America customers. Start our products design and creating by reviewing our customers comments and ideas,Malison devote our self to be an excellent manufacturer of cookie cutters in the world. Every cookie cutter Malison makes is made out of tin plated steel with food safe certificated guarantee,which is also strong enough to easily cut through cookie dough and other soft foods but is flexible enough to permit us to create the detailed shapes our customers love. Hand wash and dry your cookie cutters immediately.They are not dishwasher safe. TIP: When you are done making cookies, place washed cookie cutter on a clean baking sheet to dry in a cooling oven. All our products are fulfilled by Amazon and Malison is the only brand owner of these cookie cutters,we promise to provide timely and prompt customer service for each customer.Please feel free to contact with us for any product questions or order issues,we are always stand by for you! If you have any questions about this product by Malison, contact us by completing and submitting the form below. If you are looking for a specif part number, please include it with your message.